OpenVox Communication Co.,Ltd, a global leading provider of the best cost effective VoIP gateways and Asterisk® solutions, announced today the launch of X204 Series Hybrid Card, one of the most advanced Asterisk-based and easiest-to-use hybrid solution available. 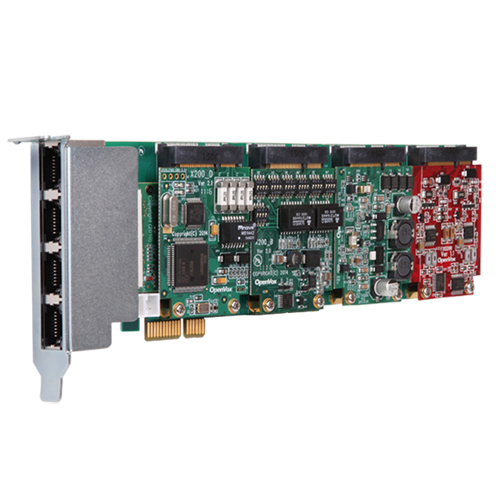 The OpenVox X204 Hybrid Card supports all three types of telephony interfaces, integrates Analog, BRI and E1 on one single card, offers a highly flexible choice for different users. More specifically, it accesses Voice over IP world without interfaces restrictions. For example, the FXO or FXS module accesses 2 analog line via juntion box, the BRI module provides 4 simultaneous voice calls over 2 ISDN BRI line, and the E1/T1/J1 module supports standard telephony and data protocols, including Primary Rate ISDN protocol families for voice, PPP, Cisco, HDLC and Frame Relay data modes. Both line-side and trunk-side interfaces are supported. X204 Series Card works perfectly with open source Asterisk® and enables users to take full advantages of the high performance and rich features of Asterisk®. It will be ready for worldwide shipping today. For more product details, please visit http://shop.voipdistri.com, or you can simply email us at info@voipdistri.com for any enquiries.